What is autism? 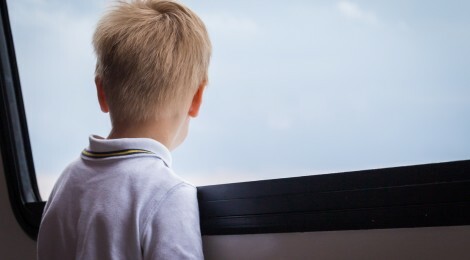 According to Autism Speaks (www.autismspeaks.org), “Autism spectrum disorder (ASD) and autism are both general terms for a group of complex disorders of brain development. These disorders are characterized, in varying degrees, by difficulties in social interaction, verbal and nonverbal communication and repetitive behaviors.” What does this mean? Children (people) with autism have a neurological developmental disability that affects how they interact with others, and affects how they perceive the world around them. Being a spectrum condition, although there may be commonalities between those who share the title, their condition will affect them in different ways. What is going on inside the brain and nervous system to cause this wide spectrum of conditions? Basically, a whole lot of disconnect. ASD and autism cannot be diagnosed by one specific test, nor does something organically show up as “wrong” on any type of imaging. This makes the diagnosis, cause, and treatment incredibly hard to label. To mainstream medicine this is frustrating, because it makes it more difficult to find a “labeled cure.” For a long time, millions of dollars were spent on finding a gene that could be linked to autism, but while there possibly is a genetic predisposition leading to autism, there is no one single genetic defect. The best explanation for what is causing the autistic behaviors is to recognize the symptoms as manifestations of functional neurological disconnections. Broken down, this means miscommunication or lack of communication within different parts of the central nervous system–one part of the brain to another part, or brain to body. This does not mean the brain is “broken.” It means there are functional developmental delays in the child’s (person’s) neuro-pathways (communication centers). As I said, a whole lot of disconnect. Think of the functions produced by your brain as a beautiful symphony. When all the musicians are playing the same music perfectly in time with one another, magical sounds are produced. But now imagine that all the musicians are given different sheet music and the conductor focuses only on a small portion of the group, leaving the others with unfamiliar pieces and no direction. The end result would be complete disconnect. Some musicians would do nothing, some would try to produce something, and possibly the only ones who would do okay would be the group under the conductor’s direct control. But even they could easily become distracted by what the others without guidance were doing. This is very similar to the functional neurological disconnects going on within the brain of an autistic child. Just like there is no telling what kind of music would be produced in the above scenario, there is no telling what kind of symptoms will result in a child with these developmental delays. What causes these neurological pathways to become disconnected in the first place? A wide spectrum of things. A few examples would be: intrauterine restrictions to the baby, trauma (birth difficulties, hitting one’s head, accidents/falls/etc. ), the birthing process itself, genetics, C-sections, toxicities to baby or mom during pregnancy (environmental, chemical, foods, allergies, medications), and increased mental/emotional stress on mom during pregnancy or the child in the first months of life are all very probable causes of the functional disconnects. This restores order to the nervous system. An adjustment affects the proprioception (input) to the nervous system. Thus, on a very basic level, you challenge the disconnected system to communicate and respond. Proper cranial-sacral rhythm allows the brain to be appropriately “bathed” in circulating cerebral-spinal fluid (CSF). Without this movement, the CSF can stagnate, and the brain doesn’t receive proper nutrients or waste management. Things like cross-crawl and specific left verses right brain activities can strengthen the weak links in developmental delays by targeting the weakest parts of each child’s brain-brain disconnect, or brain-body disconnect. Dietary changes to help regulate the balance of Glutamate to GABA in the brain. WHY? Glutamate is the brain’s main excitatory neurotransmitter (turn-on switch) in the brain, while GABA is the brain’s main inhibitory neurotransmitter (turn-off switch). Research has shown that certain processed and genetically modified foods block the production and break down of these neurotransmitters, while on the flip side, whole food vitamins and minerals can increase the proper production. These are four of the most important topics to be addressed when dealing with a child with developmental delays. However, there are other options that may include but are not limited to medication, behavioral optometry, neurofeedback, and sound therapy. Please remember that even if a child has been given the autism label, there are still possible options out there to help restore the functional neurological disconnections! ← Are Ultrasounds Safe During Pregnancy?